Last week we dove headfirst into mezcal with the hopes of getting you as passionate about the spirit as we are. This week we’re hoping to help you put your new knowledge into practice by sharing 10 of our current favorite bottles, all stunning expressions of the art, tradition and skill that goes into artisanal mezcal making. Take one or two or more home and taste them side-by-side for a truly instructive (and really, really delicious) tasting experience. To learn more about mezcal, stay tuned into our newsletter, where we’ll be announcing our May schedule of mezcal tastings. We’ll be opening up a new bottle or more each Thursday in May 2018. We hope to see you in store! This entry was posted in Learn About Spirits, Other and tagged mezcal on April 24, 2018 by bottlesfinewine. At the time of this writing, mezcal is undeniably the hottest spirit amongst true cocktail aficionados. The demand for quality mezcal is growing, specialized mezcal bars are sprouting up in cities around the globe, and more and more premium brands making their way to our shores from Mexico. Yet there’s still a fair amount of confusion around what mezcal is, and why it is costs so much. Simply put: Good mezcal ain’t cheap, and cheap mezcal ain’t good. Read on to find out what mezcal is, and why the good stuff is absolutely worth exploring and enjoying. What is mezcal and how does it differ from tequila? Mezcal is a category of spirits made from a distillate of fermented agave that comes from any of the 10 Mexican states listed above. Mexico’s more famous spirit, tequila, is a type of mezcal that can be made only in the five states of Nayarit, Tamaulipas, Guanajuato, Michoacán, and Jalisco. That said, 90+% of all tequila comes from Jalisco. tequila can ONLY be made from the “Blue” agave (agave tequilana). the piñas (the harvested heart of the agave plant – it looks like a pineapple) used in tequila production are pressure cooked inside a giant industrial oven and often distilled in larger industrial-scale stills with large production capability. mezcal, on the other hand, can be made from any of the 50+ known species of agave, including “Blue,” although 90+% of all mezcal is made from Espadín (agave angustifolia). piñas for mezcal are most often cooked in earthen pits (less often in rustic brick ovens) over mesquite or other hardwood. In some instances, these ovens are lined with volcanic rock or some vegetation to separate the piñas from the fire. mezcals are distilled in extremely small clay or earthen stills, sometimes copper, often with rudimentary cooling and filtration systems. In terms of how these production differences translate into flavor, you’ll find that steamed, or pressure-cooked tequila is usually a sweeter, mild, and fruity spirit, while the roasted, baked mezcal is much more robust: smoky, earthy, vegetal, and herbal. Agave is a species of succulent in the asparagus family. A remarkable plant that can thrive in low moisture areas, its use is intrinsically tied to the history of the regions in which it grows. It is an extremely useful plant with edible leaves, flowers, stems, and sap. It has a fibrous core and stiff leaves that are used to make pens, rope, clothing, baskets, musical instruments – the list goes on. Agave grows wild, abundant, and reliably in Mexico, so it became a natural source for spirit production, as opposed to labor-intensive grains or grapes. Agave comes in many different shapes and sizes. Some are very large, growing up to 10’ tall and weighing a hundred pounds when harvested, while others grow more like shrubs, and will weigh 5-10 pounds at harvest. Each agave has its own unique life-cycle. Some mature in 5-8 years, others in 7-10 years, still others in 20 years or more. Each agave flowers once, and then dies. This is its natural life-cycle. The cortadors (farmers who cut a harvest agave for the mezcaleros) decide when to arrest this flowering to allow the agave to fill with nectar before harvesting and roasting. And just like wine grapes, each agave has its own unique flavor characteristics, much like a pinot noir is distinct from a cabernet sauvignon, or a malbec, or a zinfandel, etc., that is influenced by its climate and soil. A sauvignon blanc from France’s Loire Valley will taste very different from the same grape grown in California. In the same way, a mezcal produced from the same Espadín variety will taste very different when grown in the hot, dry desert of Chichicapa as opposed to one made in the lush, tropical forest of Santo Domingo Albarradas. Quality mezcals are, quite literally, handmade, artisanal products. “Artisanal” is a much overused word in today’s marketing canon, and its meaning has become muddied through repeated use. It bears reminding what “artisanal” means. So unlike mass-produced foods easily found in your grocer’s freezer section and the large chain fast-food restaurants who claim to sell “artisanal” products, premium mezcal is absolutely, wholly artisanal. It is made in small batches by a handful of people in an extremely labor-intensive processes under less-than-ideal conditions in the same method that it’s been produced for hundreds of years. Where the cuts on the agave are made, how the pits are dug, how long the agave is roasted, what wood is used to fuel the oven, the temperature at which it’s distilled – all these decisions and many more have been passed down from father to son, grandfather to grandson for generations. Furthermore, most of the villages where mezcal production takes place are in remote locations, and the agave that is used is often grown dozens if not hundreds of miles away from the village. When you take into account the amount of time it takes for an agave plant to mature, then to be harvested at just the right time, transported to a palenque (the cool name for a mezcal distillery), roasted and tended by hand (the cooking process can sometimes take weeks to complete), mashed either by a giant stone (called a tahona) pulled in a circle by a horse or, more commonly, beaten into a pulp by hand, then distilled twice in super small batches – you can see where the time and effort add up. And we still haven’t gotten the finished spirit bottled, tested and approved by the mezcal authorities (yes, every batch is tested for proof and quality before it can be released), and then transported north to the United States, where tax must be paid…it all adds up. A final consideration in expense, and an important one, is the agave used to make the mezcal. As mentioned earlier, most mezcals are made from Espadín. This is because Espadín matures relatively quickly (5-7 years) and has a hefty yield. A single Espadín piña will make about 15 liters of finished spirit. A mezcal made from the small, wild-growing Tobala agave is going to be much more expensive. Tobala takes closer to 25 years to mature, and each piña yields a mere liter. Due to it’s small size and concentration of flavors, Tobala is often referred to as the ‘King of Agave’ because the Mezcals it produces are so darned tasty. Is Tobala better than Espadín? Is Espadín from southern Oaxaca better than an Espadín made in San Luis Potosi? No! They are merely different, and just like anything else, people like what they like. That doesn’t make them wrong or right, better or worse. Tobala is more expensive because it’s harder to find and produces smaller quantities, but that doesn’t preclude that any mezcal made from Espadín is inferior in any way. To help you on your road to discovery, we’ll be featuring a variety of mezcals at all price points. This week, we start with the unique and delightful Reyes y Cobardes mezcals, which can give you a sense of the variances in flavor that different regions and agaves can give you. Their “Cupreata” is made by Don Rafael Cuenca, a fourth-generation mezcalero in Zitlala, Guerrero. It’s an easy and welcoming mezcal, with sweet flavors of lemon, citrus and vanilla, under a soft smoky blanket. At a relatively low 83°, it’s an excellent entryway into the world of mezcal, equally suited to sipping or mixing in a cocktail. The Reyes y Cobardes “Duragnesis” is made by Don Jorge Garcia, a third generation mezcalero who harvests his own agave off the banks of the river on his family farm in a town with a mere 140 residents. This is an unusual mezcal, with characteristics of wet earth, a touch of funk and a cheesy-aroma which is typical of the Cenizo agave plant. It’s a great starter mezcal, especially if you’re looking to experiment with savory/smoky cocktails. Tune in next week when we present more of our expanding mezcal selection. And if you want to geek out with us even more, stop in the store anytime to talk with our team members who’ve been bitten by the mezcal bug. Wherever your exploration takes you, we hope you’re able to try this extraordinary spirit and find something to love. Many who develop a taste for mezcal never look back, and they never drink tequila again! This entry was posted in Learn About Spirits on April 17, 2018 by bottlesfinewine. This far too under-appreciated distillery, located just 90 minutes up the Mass Pike in Great Barrington, produces excellent spirits that have been true sleeper-hits for us at Bottles. The consistently delicious gins, rums, vodkas and whiskeys are made from locally-sourced ingredients with great skill by dedicated artisans. 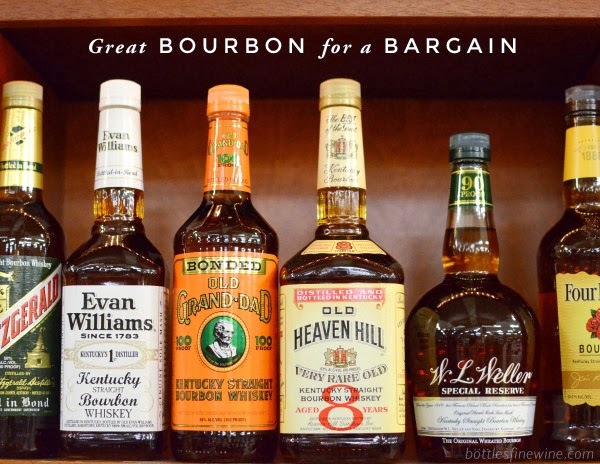 Each bottle in their line makes a truly great addition to any home bar, especially given the affordable pricing. Give these outstanding Berkshire Mountain Distillers’ spirits a try – and let us know what you think! This entry was posted in Learn About Spirits and tagged berkshire, ethereal gin, greylock gin, ice glen vodka, mountain, ragged mountain on January 9, 2018 by bottlesfinewine. As a category, Japanese Whisky has grown over 200% in the last year alone, and it doesn’t show any signs of slowing. Japan’s major distilleries have won many prestigious awards and accolades over the last decade, often outshining their Scottish and American counterparts. So why haven’t you heard of them? And if you have heard of them, why can’t you find them? When we opened Bottles more than 6 years ago, we had a slew of beautifully aged Japanese Whiskys on our shelves. 12-year-old expressions from Hakushu, 18- and 21- year-old bottlings from Yoichi, among a handful of others. There they sat, lonely on the shelf, gazing with envy at their Scottish single malt buddies who were out having fun. As the current whisky boom amped up, more and more people began reading articles about different bourbons, ryes, and malt whiskies. Whisky writers and bloggers could explore new areas of the world that people had previously overlooked. Folks started to pay attention and take the leap of faith to try these ‘new’ whiskies from Japan, or Taiwan, or India, or Tasmania. They found a lot to like, and the bottles started moving off our shelves. When any distillery makes whisky, it invests a tremendous amount of time and money into each release. The whisky must sit in a barrel for a good long time before it’s ready to be bottled, which means the distillers are also forced to sit and wait for years (and often decades) before they make a profit from that work. It’s easy to understand why, without knowing how successful their bottles would be at market, these distillers produced their whiskys in small quantities. Though some of the world’s oldest distilleries are experienced enough to forecast how much whisky they need to distill today so they can ensure that they have enough to meet demand in 8, 10 or 15 years, a lot of the ‘newer’ Japanese distilleries just didn’t have enough of a track-record to predict this massive growth decades ago. Hence the short supply today. So now we wait. The master distillers of Japan are working harder than ever, but you can’t make more 18-year-old whisky without waiting 18 years! In the meantime, please try some of the Japanese whiskies that you can buy, now. They are soft, elegant whiskys, based on a Scottish foundation of whisky-making with a distinctly Japanese style of simple elegance & proficiency. Beam-Suntory operates three distilleries: Yamazaki, Hakushu, & Chita. -Yamazaki (Japan’s oldest distillery) opened in 1923 at the convergence of the soft waters of the Katsura, Uji, and Kizu rivers. Nestled in this temperate, humid valley, Yamazaki is known as a soft & supple single malt with a unique house character. -The Hakushu Distillery opened in 1973 in the forests of Mt. Kaikomagatake. Hakushu takes pride in its waters, clean and crisp from rain and snowmelt filtered through granite. These whiskys are notable for the spice flavors they impart in the finish, and an easy way with their oak aging. -Chita is the workhorse of the Beam-Suntory stable, producing three distinctive world class grain whiskys (mainly used for blending) out of corn and grain. The Chita Single Grain whisky finds it’s voice in many of the blends that Beam-Suntory produces. Toki is a brand-new expression from Beam-Suntory, comprised of the silky body of Chita single grain, Hakushu’s strength & oakiness, and select older malts from Yamazaki for spice and elegance. A light and approachable blend, equally suited to sipping over a large ice cube or mixing in cocktails. They suggest making a highball, we like it in a Whisky Sour. Another blend from the Chita, Yamazaki, and Hakushu distilleries, Japanese Harmony focuses on a more robust experience, with an emphasis on the flavors that different types of casks can impart. The malts are aged in American white oak, sherry butts, and Japanese Mizunara casks. The results drink very much like a fine Scottish single malt, but with less sherry influence. To be enjoyed neat, or slowly poured over a large ice ball. This is it. Get it while you can. One of the last 12-year-old single malts from Japan we were able to get our hands on. A beautiful spirit, composed entirely of whisky distilled and aged at Hakushu. Subtly smoky, it has flavors & aromas of basil, pine, and green tea. A little water will coax our fruity flavors like green apple, mint, and kiwi. Nikka operates two distilleries: Yoichi and Miyagikyo. -The Yoichi distillery was founded on Hokkaido in 1934. To this day, they craft their whisky in copper pot stills, heated with a direct coal fire – an extremely rare and labor intensive practice that produces wonderful results. -In 1969, Nikka opened a second distillery, Miyagikyo, on the island of Honshu. Known for its pristine water and myriad waterfalls and hot springs, Miyagikyo produces a single grain whisky of uncommon quality and body. Named for the Coffey stills they use to create the whisky (there is no coffee in this whisky! ), the Coffey Grain is made primarily from corn, and has an impressively silky body, with a touch of vanilla and citrus. It’s best over the rocks, or in a variation of an old-fashioned or manhattan. The Coffey Malt is extremely unusual – a 100% malted barley spirit run off a continuous still. It has a rich and pleasant body, with a fresh grain quality akin to toasty grape nuts and freshly baked bread. It will stand up to most classic bourbon cocktails – we like it mixed with a splash of Italian Alessio Chinato vermouth. The Pure Malt is a delightful blend of spirits from both distilleries. Utilizing a combination of new American, ex-bourbon, and sherry casks, the Pure Malt is much closer to a traditional Scottish malt, with flavors of honey & char, espresso & chocolate, & a final hint of smokiness. Come by and talk to one of our team members for insight on their favorite bottles – we’re sure you’ll find you’re favorite, too. This entry was posted in Learn About Spirits and tagged Beam Suntory, japan, Japanese Whisky, Nikka, whiskey, whisky on January 17, 2017 by bottlesfinewine.